Call forth dragons and feel the ancient songs of the Celts stirring in your blood. Access the deep wisdom of the Druidic orders and reclaim the Elemental gifts of the Otherworld. Become a spiritual warrior of the Celtic Craft-a Dragon-Rider. The dragon is a symbolic representation of the alchemist’s or magician’s works of power. Druid Power presents techniques for self-transformation through Celtic faerie craft and Elemental magic. Rich with mythological information and psychological insight, this innovative guide bridges ancient Celtic Druidic Tradition with modern transpersonal psychology. Reawaken your connection to the magick of the natural world through traditional ceremonies, guided journeys, and unique exercises that lead to a direct connection with the Elemental forces of Nature. Experience the strength and purity of fire, the emotional alchemy of water, the profound reality of earth, the awareness of air, and the transcendent mystery of spirit. Enter the realm of myth where magick and the mundane blend. 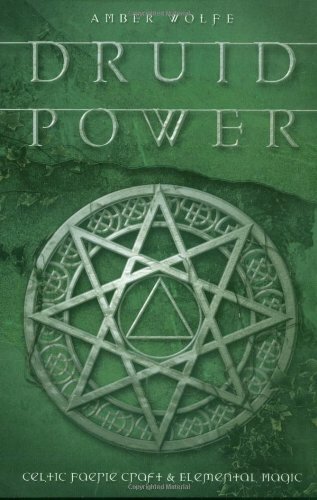 Druid Power is your guide to finding your way to the Otherworld and back again-richer, wiser, healed, and whole.